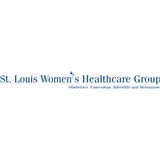 St. Louis Women's Healthcare Group (Chesterfield) - Book Appointment Online! Dr. Ahlering is very personable, friendly, and very nice. He enjoyed my little story during the entire Pap procedure, which made me more comfortable and relaxed, and seemed like time flew ... it was over before I knew it. I feel that he was very thorough in covering any issue I may have, and forthright with my health status. I would HIGHLY recommend Dr. Ahlering, he makes this yearly visit very comfortable, I don't get anxious anymore when I need to go. Thanks. I absolutely ADORE her!! Best doctor! Listens. Never feel rushed. Caring. Compassionate!! Truly the best!! We saw the nurse practitioner and she was amazing! She was very patient and took the time to answer my questions and concerns. She’s also very personable which made me feel more comfortable. I did not feel rushed at all. She’s always so sweet and wonderful! She knows her stuff better than any OB I’ve been to before. I moved out of the area but I am happy to drive two hours to see her! She’s worth it!